1. understood by or meant for only the select few who have special knowledge or interest. Esoteric Vegan was created in 2010 by Shalene France Gray, self-taught chef. At the time, very few vegan options existed in Nashville, and Esoteric Vegan was formed out of the desire to share a love and passion for healthy, plant-based meals. Growing up, Shalene was never a big fan of meat, and officially adopted a vegetarian diet when in college. About twelve years later, she (and her husband) went vegan in 2006, and never looked back. Esoteric Vegan began as a quarterly supper club, but has evolved over time. 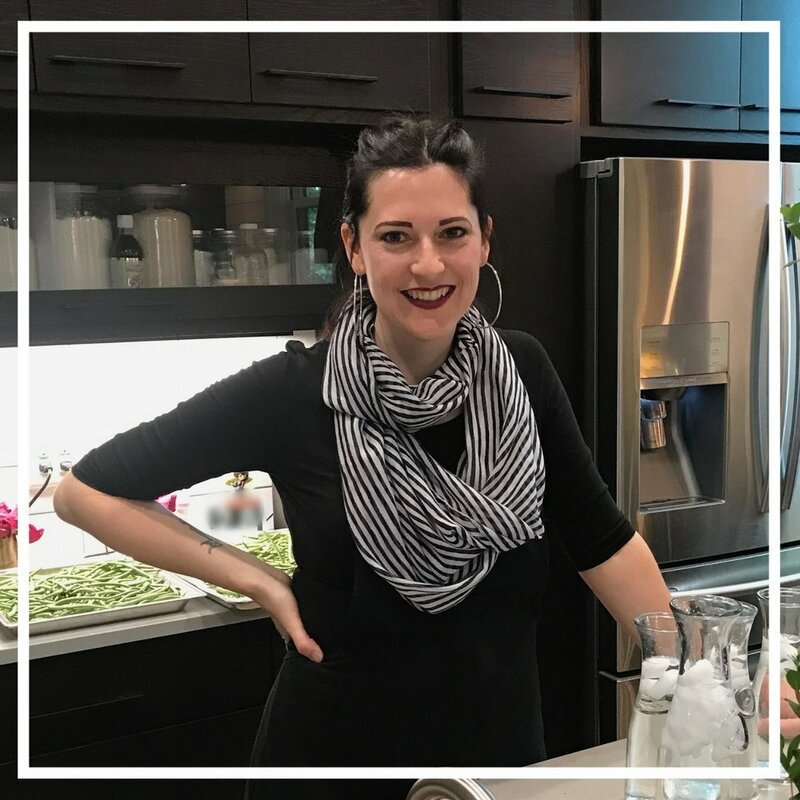 Simultaneous to running Esoteric Vegan over the years, Shalene has held several other gigs, from Photographic Producer to residential Realtor, but it seems cooking great food and serving as the hostess with the mostess is Shalene's true calling. As a result, the once-quarterly dinner events are now held on a monthly basis, and EV is also available to cater/host smaller private dinner parties in your home or business. In addition, EV offers private and group cooking classes. Esoteric Vegan strives to use local vendors and seasonal, organic products whenever available. Regardless of how you’ve discovered Esoteric Vegan, and regardless of your dietary preference, we do hope you’ll join us in the kitchen or at our next event! We’re excited to announce that we've brought back our supper club! Our dinners will now be much more intimate, allowing for only 10-12 guests each dinner, and will be held on a monthly basis. We look forward to welcoming back old friends and to seeing new ones at the table! If you are interested in having Esoteric Vegan cater a smaller-scale private dinner event (up to 15-20 people) in your residence or business, please give us a shout to discuss! We’re also available for individual and group cooking classes/demonstrations. We look forward to hearing from you. Esoteric Vegan also teaches classes/hosts events for the University School of Nashville’s Night Classes program each spring. Check back in December for more information once the catalog has been released, or keep an eye on our Facebook page.